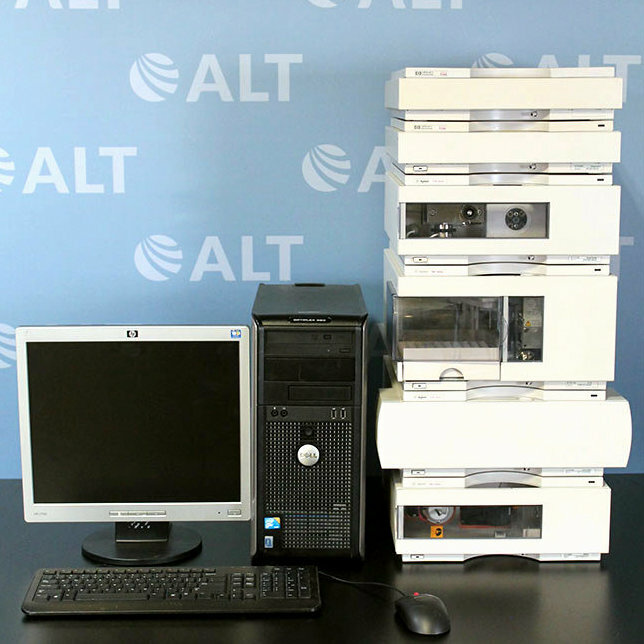 When you purchase a used HP/Agilent 1100 HPLC System from American Laboratory Trading, you can be sure that the system you will receive has been fully tested, serviced, and carefully packaged to arrive safely in your lab. Our in-house service department carefully tests each component as well as the complete system to guaranty that the it runs as it should. For your convenience, we include the results of our in-house tests in each shipment. Looking For a Different Configuration? 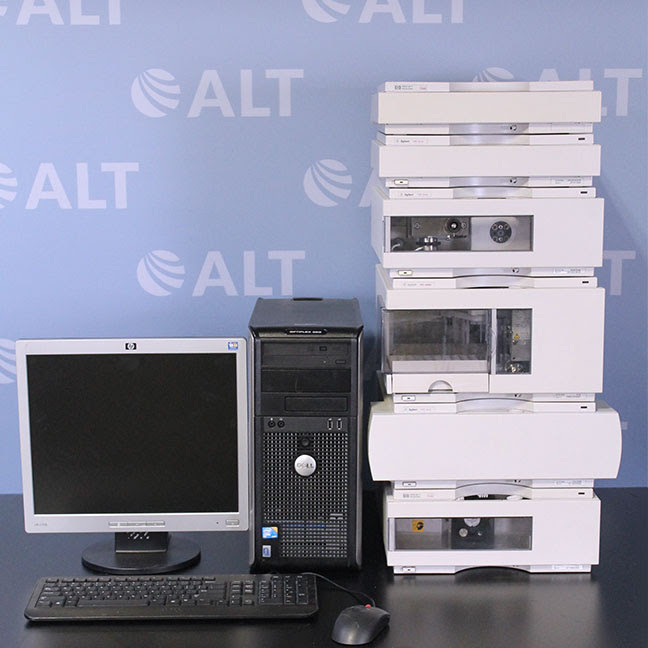 American Laboratory Trading can also custom build your system to meet the requirements of your lab. If you don't see what you are looking for, please call us or specify your configuration using our online Quote Request form. - G1323A Control Module "Gameboy"
- G1323B Control Module "Gameboy"
The HP/Agilent 1100 HPLC System is controlled by either the handheld G1323A/B Control Module or by a computer running ChemStation. 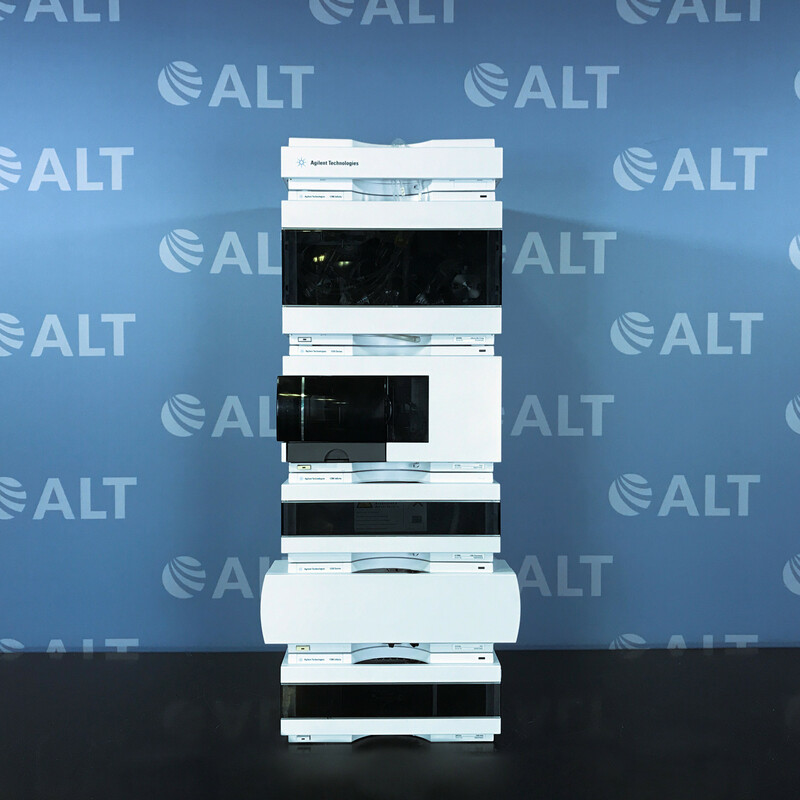 Based on the 1050 HPLC System, the HP/Agilent 1100 System features a single-stack configuration that takes up a minimum of space. 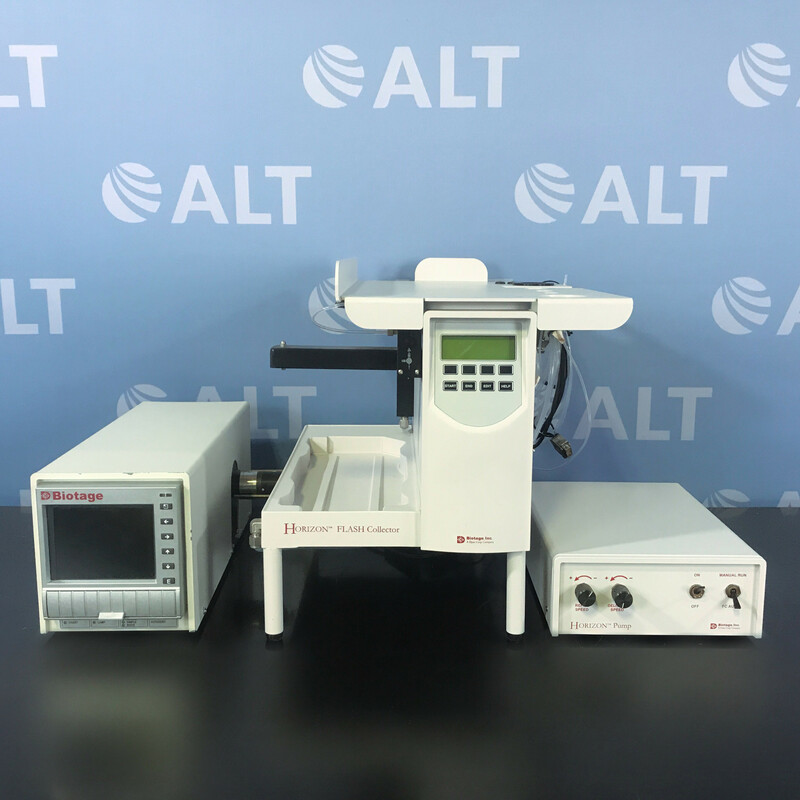 In addition to the small footprint, this HP/Agilent 1100 has a huge selection of available components including mulitple detectors, pumps, and autosamplers, giving it the ability to tackle a variety of jobs. You can add spectral acquisition to your HPLC analyses with the Agilent 1100 Series diode array detector. Verify separation quality with peak purity, multiple signals and spectral libraries - interactively or automatically in the same run as your analytical quantification. Extended wavelength range from 190 to 950 nm with highest sensitivity or spectral resolution with programmable slit. And holmium oxide wavelength verification for GLP compliance. The temperature management system ensures optimum baseline stability-even under rough ambient conditions.